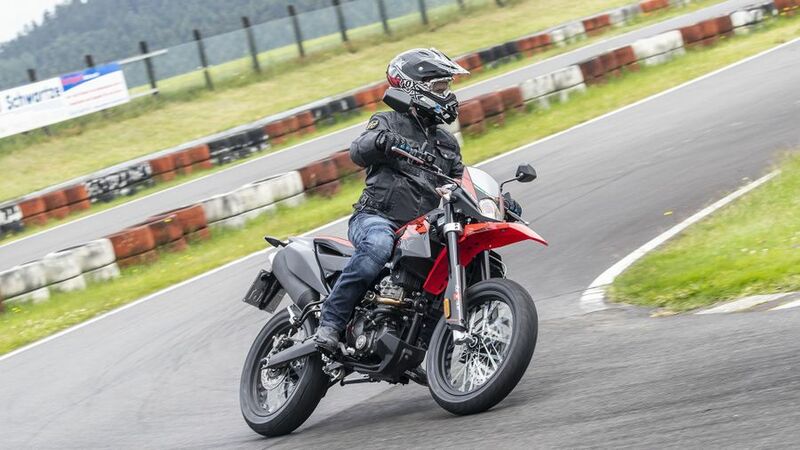 New learner supermoto based on RS125 mechanicals shows Italian teenie exotica-maker Aprilia at its best: it's cool, fun, well-equipped and a doddle to ride - and it's not even that expensive. 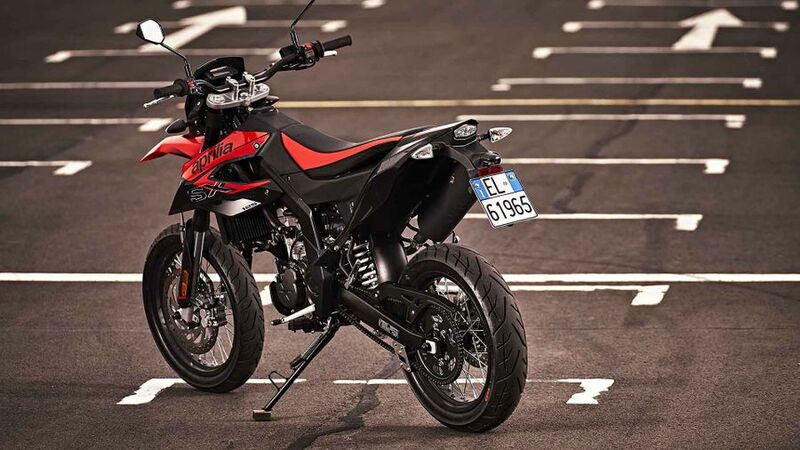 The Italian lightweight exotica specialists are brilliant at 125 sportsters but this supermoto uses that tech to deliver arguably the perfect A1 bike - the SX is cool, easy to ride, well made, fun and affordable (for an Aprilia) too. Interested in buying an Aprilia SX? The supermoto style has a lot going for it as a learner machine. 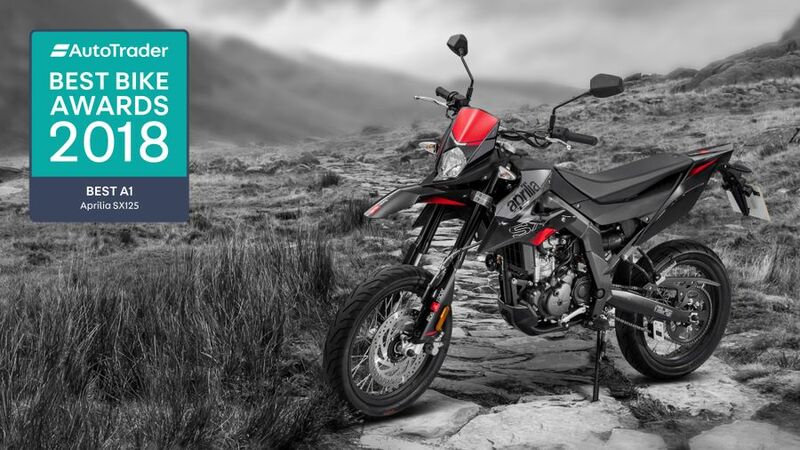 Basically, being a street-tyred motocrosser means it doesn't just have youth appeal, it's also easy to ride, fun packed and, by not having a fairing, crashes well, too. Italian marque Aprilia, meanwhile, have long been the kings of learner 125s with their racy, sporty, well-specced bikes appealing to 17-year-olds as much as Ducatis do to older riders. Put the two together and the SX125 is the result. Stylish, fun, a doddle to ride and, best of all, reasonably priced for an Aprilia as well - what's not to like? Wide-barred, upright MX posture gives a great view, tons of manouvrability and lots of potential for skids and wheelies - and makes it easy to ride as well. Being a super moto with smaller, fatter wheels adds grip and also brings the whole plot lower to the ground, which is again good for a novice. On the slight downside you're fully exposed to the elements, so prolonged cruising is, quite literally, a pain, while a narrow, firm seat isn't exactly the most comfortable, either. But when you're 17, who cares? 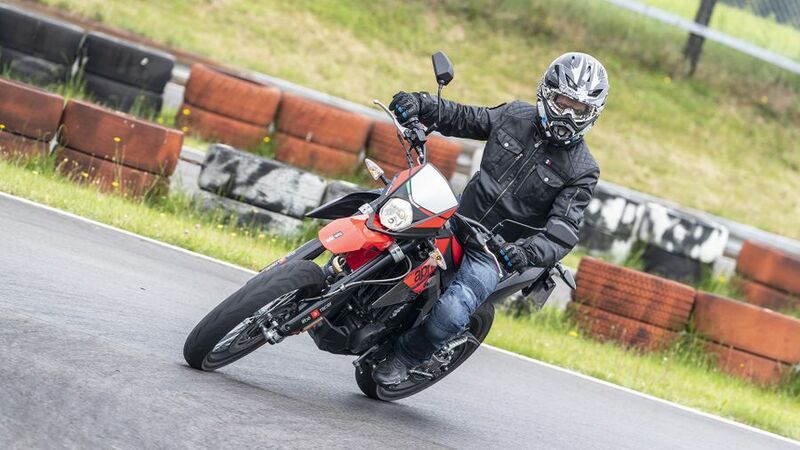 Any 125 has limited practicality or versatility, but the Aprilia SX125 delivers what it set out to achieve. It's easy to ride, nimble through town traffic where it'll inevitably spend most of its time, is great for developing riding skills and is more than capable of the commute to college, or similar, which is about as practical as any 17-er needs to be. It'll also take a pillion better than most 125s (once you've passed your test of course) and will be anyone's pride and joy parked up outside the local McDonalds. If any 17-year-old needs more practicality than that, I'm a Dutchman. This is where more sporting lightweights such as Aprilias really come into their own and the SX is no exception. With its stiff, steel twin spar frame and decent inverted front forks and rear monoshock, the ride is plush but the handling precise and controlled. Slicing through traffic is a doddle as is terrorizing the local byways and pathways, which is just what any self-respecting 17-year-old requires. As long as it's looked after reasonably well there's nothing to fear here, either. 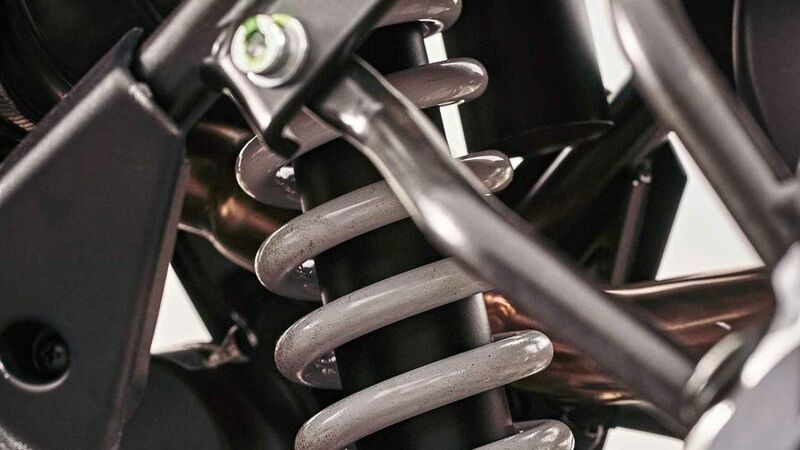 The four-stroke single has been around for a while now and has proven reliable and rugged; being unfaired means there's less to break in a tipple (although you should expect a fairly healthy appetite for levers and bar ends) and there's otherwise not much on the SX125 that can go wrong anyway. Like most of the leading manufacturers, Aprilia offers a standard, two-years, unlimited mileage, parts and labour, manufacturer-backed warranty with its SX125, so there's little to fear here. Similarly, service intervals are fairly typical for this type of machine as well, with major services due every 8000 miles and interim ones every 4000. Although at first glance it looks fairly lash and fancy, the SX in reality is quite basic which, along with being built in Chine, not Italy, explains its impressively affordable price. That said it has everything you'd expect of a supermoto 125 - USD forks, twin spar frame, (fake) carbon panels and… that's about it. There's also the legal requirement of ABS, of course, but that's your lot. Even the minimalist dash is very basic - but then, that's what super motos are supposed to be like. Supermoto 125s used to be commonplace, with offerings from all the Big Four Japanese. 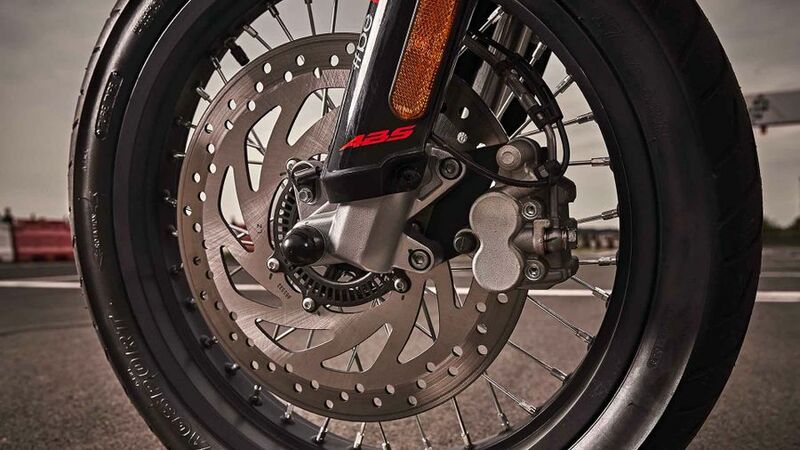 Not any more - which is why this new offering from Aprilia is even more tempting. Simply, as an A1 125, it has it all: exotic Italian appeal; easy riding; a decent spec; great looks; a proven engine and chassis and, perhaps best of all, especially compared to previous Aprilias, a not inaccessible price tag. If you're 17, who could want for anything more?